Simba&Nala. . HD Wallpaper and background images in the o rei leão club tagged: disney the lion king simba. 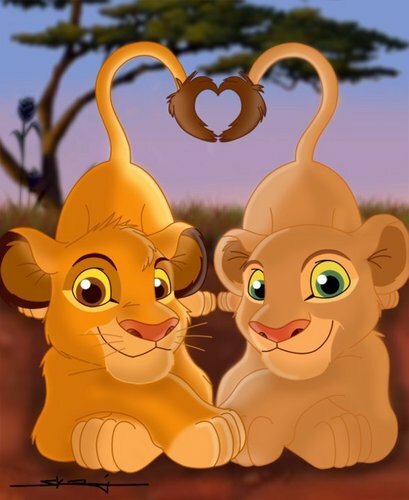 i love simba and nala! they are cute together! especially with the shape in their tale!